Hormones are chemicals that are produced from endocrine glands. Acne is a disorder in which sebaceous glands become blocked. A hormone is a chemical substance that is secreted from a gland of the endocrine system of the body. This substance acts as a messenger and binds to specific receptors on a target cell. A hormone is a secretion which has a specific chemical structure that will enable binding to a specific and correct receptor on the cell of the target organ. Hormone secretion is triggered by feedback loops within the body. Usually, the hypothalamus and pituitary gland in the brain respond to changes in the body by secreting chemicals which either directly act on target organs or triggers the release of second hormones from another organ in the body. The hormones are made from a variety of substances including steroids, peptides, and even derivatives of various amino acid molecules. Hormones made from steroids are first formed using the molecule pregnenolone which is found in the mitochondrial inner membrane and then is modified by the endoplasmic reticulum of cells. Peptide hormones are manufactured in the endoplasmic reticulum. These chemical substances are released into the bloodstream where they circulate throughout the body until they find the target cell. Here they bind to a receptor on the cell membrane which then triggers changes inside the cell. In some cases, the hormone does not have to travel very far and the cells of the same organ that released the chemical may respond to it. In other cases, hormones may travel some distance to an organ. These chemical messengers ensure that the body is kept in homeostatic balance to ensure survival. Treatment is not normally needed unless some disease process or condition causes the body to produce too few or too many hormones. A hormonal imbalance then needs to be corrected. The way that this is done will depend on the cause of the imbalance. 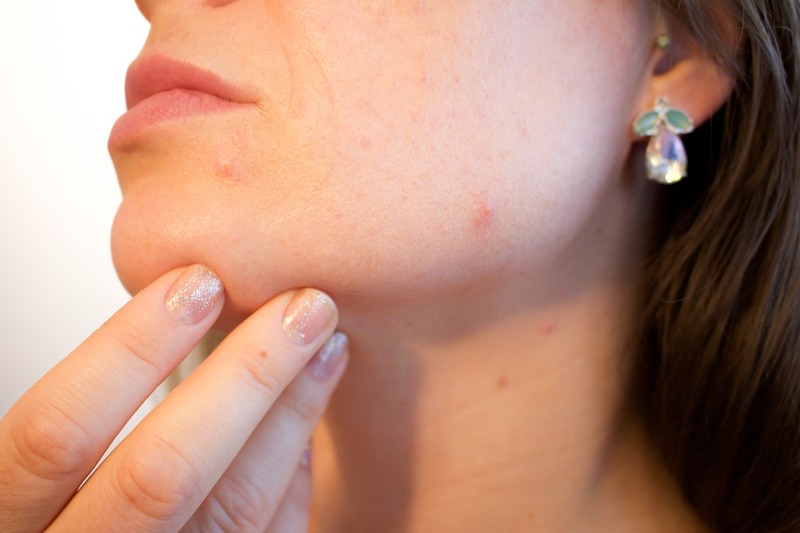 Acne is the condition in which there is a blockage of the sebaceous gland associated with a hair follicle, resulting in the formation of a visible structure on the skin. The acne can take various forms with different types of structures becoming evident. You can get both non-inflammatory acne which typically shows structures known as comedones, and inflammatory acne which has pustules or nodules. There are many reasons a person may develop acne and it is a common condition. Changes in hormones during puberty or pregnancy can be a cause. The use of some cosmetics or skin creams can block pores and trigger acne. In addition, being in a hot humid environment can also cause acne to arise. When a person has acne it means that they have a blocked sebaceous gland which has led to the formation of some type of raised bump on the skin. The bump forms because of the sebum being trapped which in turn attracts bacteria and often immune cells that bring about an inflammatory response. A comedone is a raised area that can form which may be white or black in color and may be either closed off or open to the outside. Papules, pustules, and nodules are also types of bumps that occur when the clogged gland has become inflamed, with the nodule being the largest bump that may form. Acne has no useful function. It is, in fact, a disorder in which the immune system has responded to a blocked gland. The problem is that the blocked region not only can become impacted and swollen but can become inflamed or even infected. The treatment choice depends on how severe the problem is. Topical retinoids are usually the first choice of treatment for acne. In severe cases of acne and when the pustules are infected antibiotics are also prescribed. Difference between Hormones vs. Acne? A hormone is a substance that is produced by an endocrine gland that is carried in the bloodstream. Acne is a disorder of the skin in which a sebaceous gland becomes blocked. Hormones have a specific structure which in each case matches a particular receptor on the cell of a target organ. Acne results in structures that are bumps or swellings on the skin that may be closed or open to the outside and may or may not be inflamed. Hormones really involve the activity of both the endocrine and nervous system. Acne involves the immune system and integumentary systems. The secretion of hormones is a result of feedback loops involving the hypothalamus and pituitary gland. The formation of acne is a result of blocked sebaceous glands which can be caused by hormones, living in a humid hot environment or from using certain cosmetics or skin products. Steroid hormones are formed using the precursor pregnenolone. These hormones and peptide hormones are made in the endoplasmic reticulum. Acne is formed when a blocked gland causes a bump such as a comedone, pustule or nodule to develop as bacteria and immune cells accumulate in the area. Hormones have many useful functions in the body, all designed to keep the body in homeostatic balance. Acne has no useful function and is the result of the immune system responding to a problem. There is usually no treatment needed for hormones unless there is some type of imbalance involved. The treatment for acne is usually topical retinoids and sometimes also antibiotics. Hormones are chemicals that are secreted by the glands of the endocrine system. Acne is a condition in which sebaceous glands near the hair follicles become blocked with sebum. Hormones are needed by the body to ensure homeostatic balance, and normally no treatment is needed unless there is an imbalance. Acne is a disorder that may need to be treated with a topical retinoid and antibiotics. Dr. Rae Osborn. "Difference Between Hormones and Acne." DifferenceBetween.net. March 5, 2019 < http://www.differencebetween.net/science/health/difference-between-hormones-and-acne/ >.